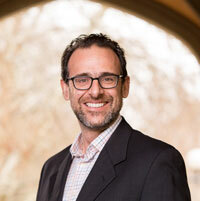 Gregor Kennedy is Pro Vice-Chancellor (Teaching and Learning) at the University of Melbourne and a Professor of Higher Education in the Melbourne Centre for the Study of Higher Education. Gregor is an international leader in educational technology research and development, particularly in the context of higher education. He has longstanding research interests in contemporary learning design and emerging technologies, educational technology research and evaluation, interactivity and engagement in digital learning, 3D immersive virtual environments, and the use of learning analytics in digital learning environments. He has published widely in these areas and is a regular keynote and invited presenter at local and international conferences. As Pro Vice-Chancellor (Teaching and Learning) Gregor leads the University's strategy in teaching, learning and assessment, curriculum innovation, and the use of learning technologies and learning analytics. 2017. Learning reflections: Designing interventions to promote learning in museums. Gregor Kennedy, Cameron Hocking, Eduardo Araujo Oliveira, Paula de Barba, Kristine Elliot, Ben Cleveland. The University of Melbourne and Museum Victoria, McCoy Project. Funding: $20,000. 2016. Tripwire Generation for a Surgical ITS: What is the effectiveness of a data driven approach? J. Bailey, G. Kennedy, S. O’Leary, A. Pearce, S. Wijewickrema, Y. Zhou. Office of Naval Research. US$ 107,421. 2015. Determining students' assessment feedback preferences for personal analytics solutions’. Corrin, L., de Barba, P. & Kenendy, G. Role: CI. Australian Office for Learning and Teaching Seed Grant. Funding: $40,000. 2014. 'University learning in the digital age: Investigating how students learn online'. Sue Bennett, Lori Lockyer, Gregor Kennedy, Barney Dalgarno. ARC Discovery Project. $180,000. 3 years. 2014. 'Completing the loop: Returning meaningful learning analytic data to teachers'. Gregor Kennedy, Linda Corrin, Shane Dawson, Lori Lockyer plus colleagues. Office for Learning and Teaching Competitive Grant. Funding: $218,000. 2014. Student retention and learning analytics: a snapshot of current Australian practices and a framework for advancement'. Office for Learning and Teaching Commissioned project. Led by Shane Dawson. Role: CI. Funding: $248,000. 2014. Automated Real Time Formative Feedback for Virtual Reality Training. James Bailey, Gregor Kennedy and Stephen O'Leary. Defence Science Institute. Funding: $35,000. 2013. Automating real time feedback in virtual reality training through data mining. Stephen O'Leary, Gregor Kennedy, James Bailey, Peter Gibson. Australian Research Council Linkage Grant. Linkage Partner: Cochlear Ltd. Funding: $300,000. 2013. Predicting learner confusion for enhanced feedback and self-regulation.Gregor Kennedy, Lori Lockyer, Mike Timms, Rob Hester, Ottmar Lipp. Project part of the Science of Learning Research Centre. Australian Research Council. Funding: $16 million. 2012. Developing reusable 3D, simulation-based learning environments. Gregor Kennedy, Linda Corrin, Bruce Joy, Tuan Ngo, Barney Dalgarno. Institute for a Broadband Enabled Society Seed Funding. Funding: $43,000. 2012. Academic Workforce 2020: Framing a national agenda for professionalising university teaching. Richard James, Chi Baik, Gregor Kennedy, Emmaline Bexley, Marnie Hughes-Warrington, David Sadler, Sara Booth, Kerri-Lee Krause. Office of Learning and Teaching. Funding: $310,000. 2011. Developing decision-making skills using immersive VR. Gregor Kennedy, James Bailey & Stephen O'Leary. Asian Office of Aerospace Research and Development. Funding: $52,000. 2010. Training ENT registrars to become expert surgeons: the role of fidelity in surgical simulation. Gregor Kennedy, Stephen O'Leary, Kalikow Yukawa, Denny Oetomo, Ed Kazmierczak. Garnett Passe and Rodney Williams Memorial Foundation. Funding: $290,494. Lodge, J. M., Kennedy, G. & Lockyer, L. (2016). Editorial: Brain, mind and educational technology. Australasian Journal of Educational Technology, 32 (6), i-iii. http://dx.doi.org/10.14742/ajet.3443. Pachman, M., Arguel, A., Lockyer, L., Kennedy, G., & Lodge, J. M. (2016). Eye tracking and early detection of confusion in digital learning environments: Proof of concept. Australasian Journal of Educational Technology, 32(6), 58-71. http://dx.doi.org/10.14742/ajet.3060. Piromchai, P., Ioannou, I., Wijewickrema, S., Kasemsiri, P., Lodge, J. M., Kennedy, G., O'Leary, S. (2016). The effects of anatomical variation on trainee performance in a virtual reality temporal bone surgery simulator – a pilot study. The Journal of Laryngology & Otology. https://doi.org/10.1017/S0022215116009233 (pre-press version). Bower, M., Kennedy, G. E., Dalgarno, B., Lee, M. J. W., & Kenney, J. (2015). Design and implementation factors in blended synchronous learning environments: Outcomes from a cross-case analysis. Computers & Education, 86, 1–17. Piromchai, P., Wijewickrema, S., Smeds, H., Kennedy, G., & O’Leary, S. (2015). Correlations of External Landmarks With Internal Structures of the Temporal Bone. Otology & Neurotology, 36(8), pp 1366-1373. Wijewickrema, S., Piromchai, P., Zhou, Y. Ioannou, I., Bailey, J., Kennedy, G., & O’Leary, S. (2014) Developing Effective Automated Feedback for Temporal Bone Surgery Simulation. Otolaryngology – Head & Neck Surgery, 152(6), pp 1082-1088. Bower, M., Kenney, J., Dalgarno, B., Lee, M. J., & Kennedy, G. E. (2014). Patterns and principles for blended synchronous learning: Engaging remote and face-to-face learners in rich-media real-time collaborative activities. Australasian Journal of Educational Technology, 30(3), 261-272. Ioannou, I., Avery, A., Zhou, Y., Szudek, J., Kennedy, G., & O'Leary, S. (2014). The effect of fidelity: How expert behavior changes in a virtual reality environment. The Laryngoscope.124 (9), 2144-2150. Coffrin, C., Corrin, L., de Barba, P., & Kennedy, G. (2014). Visualizing patterns of student engagement and performance in MOOCs. In Proceedins of the Fourth International Conference on Learning Analytics And Knowledge (pp. 83-92). ACM. Dalgarno, B., Kennedy, G. & Merritt, A (2014). Connecting student learning at University with professional practice using rich media in practice-based curricula. In M. Gosper & D. Ifenthaler (Eds), Curriculum Models for the 21st Century. (pp. 213-233). Springer, New York. Phillips, R. A., Kennedy, G. & McNaught, C., (2012). The role of theory in learning technology evaluation research. Australasian Journal of Educational Technology. 28(7), 1103-1118. Bennett, S., Bishop, A., Dalgarno, B., Waycott, J. & Kennedy, G. (2012). Implementing Web 2.0 technologies in higher education: A collective case study. Computers & Education, 59, 524-534. Kennedy, G., Ioannou, I., Zhoa, Y., Bailey, J. & O'Leary, S. (2012). Data mining interactions in a 3D immersive environment for real-time feedback during simulated surgery. In M. Brown, M. Harnett & T. Stewart (Eds. ), Future challenges, sustainable futures. In Proceedings of ascilite Wellington 2012 (pp. 468-478). Bower, M., Kennedy, G. Dalgarno, B., Lee, M., Kenney, J. & de Barba, P. (2012). Use of media-rich real-time collaboration tools for learning and teaching in Australian and New Zealand universities. In M. Brown, M. Harnett & T. Stewart (Eds. ), Future challenges, sustainable futures. In Proceedings of ascilite Wellington 2012 (pp. 133-144). Pearce, J.M., Chang, S., Kennedy, G., Ely, R.B.W. & Ainley, M. (2012). Search and Explore: more than one way to find what you want. Proceedings of the 24th Australian Computer-Human Interaction Conference, 469-478. Phillips, R., McNaught, C. & Kennedy, G. (2012). Evaluating e-learning: Guiding research and practice. New York: Routledge. Kennedy, G. E. & Judd, T. S. (2011). Beyond Google and the 'Satisficing' Searching of Digital Natives. In Thomas, M. (Ed.) Deconstructing Digital Natives. (pp. 119-136). New York: Routledge. Judd, T.S & Kennedy, G.E. (2011). Expediency-based practice? Medical students' reliance on Google and Wikipedia for biomedical inquiries. British Journal of Educational Technolog, 42 (2). 351-360. Zhao, Y.C., Kennedy, G., Hall, R. & O'Leary, S. (2010). Differentiating levels of surgical experience on a virtual reality temporal bone simulator. Otolaryngology - Head and Neck Surgery, 143 (5), Supp. 3, 30-35. Kennedy, G., Judd, T., Dalgarno, B. & Waycott, J. (2010). Beyond Natives and Immigrants: Exploring the Characteristics of Net Generation Students. Journal of Computer Assisted Learning, 26, 332-343. Dalgarno, B., Kennedy, G. & Bennett, S. (2010). Can functional brain imaging be used to explore interactivity and cognition in multimedia learning environments? Journal of Interactive Learning Research, 21 (3), 317-342. Gray, K., Chang, S. & Kennedy G. (2010). Use of social web technologies by international and domestic undergraduate students: implications for internationalising learning and teaching in Australian universities. Technology Pedagogy and Education, 19 (1), 31-46. Kennedy, G. & Lodge, J. M. (2016). All roads lead to Rome: Tracking students’ affect as they overcome misconceptions. In S. Barker, S. Dawson, A. Pardo, & C. Colvin (Eds. ), Show Me the Learning. Proceedings ASCILITE 2016 Adelaide (pp. 318-328). Wiseman, P.J., Kennedy, G.E. & Lodge, J. M. (2016). Models for understanding student engagement in digital learning environments. In S. Barker, S. Dawson, A. Pardo, & C. Colvin (Eds. ), Show Me the Learning. Proceedings ASCILITE 2016 Adelaide (pp. 666-671). Wijewickrema, S., Zhou, Y., Bailey, J., Kennedy, G., & O’Leary, S. (2016) Provision of Automated Step-by-Step Procedural Guidance in Virtual Reality Surgery Simulation. To appear in Proceedings of the 22nd ACM Symposium on Virtual Reality Software and Technology (VRST), Munich, Germany, 2-4 November 2016. Bakharia, A., Corrin, L., de Barba, P., Kennedy, G., Gasevic, D., Mulder, R., Williams, D., Dawson, S., Lockyer, L. (2016). A conceptual framework linking learning design with learning analytics. In T. Reiners, B.R. von Konsky, D. Gibson, V. Chang, L. Irving, & K. Clarke (Eds,), Proceedings of the 6th International Conference on Learning Analytics and Knowledge (pp. 409-413). New York: ACM. Kennedy, G., Coffrin, C., de Barba, P., & Corrin, L. (2015). Predicting success: how learners' prior knowledge, skills and activities predict MOOC performance. In Proceedings of the Fifth International Conference on Learning Analytics And Knowledge (pp. 136-140). ACM. Wijewickrema, S., Ioannou, I., Zhou, Y., Piromchai, P., Bailey, J., Kennedy, G., & OLeary, S. (2015). Region-Specific Automated Feedback in Temporal Bone Surgery Simulation. In Computer-Based Medical Systems (CBMS), 2015 IEEE 28th International Symposium on (pp. 310-315). IEEE. Corrin, L., Kennedy, G., de Barba, P.D., Bakharia, A., Lockyer, L., Gasevic, D., Williams, D., Dawson, S., & Copeland, S. (2015). Loop: A learning analytics tool to provide teachers with useful data visualisations. In T. Reiners, B.R. von Konsky, D. Gibson, V. Chang, L. Irving, & K. Clarke (Eds. ), Globally connected, digitally enabled. Proceedings ascilite 2015 in Perth (pp. 409-413). Lodge, J. M. & Kennedy, G. E. (2015). Prior knowledge, confidence and understanding in interactive tutorials and simulations. In T. Reiners, B.R. von Konsky, D. Gibson, V. Chang, L. Irving, & K. Clarke (Eds. ), Globally connected, digitally enabled. Proceedings ascilite 2015 in Perth (178-188). Zhou, Y., Ioannou, I., Wijewickrema, S., Bailey, J., Kennedy, G., & O’Leary, S. (2015). Automated Segmentation of Surgical Motion for Performance Analysis and Feedback. In Medical Image Computing and Computer-Assisted Intervention--MICCAI 2015 (pp. 379-386). Springer International Publishing. Kennedy, G., Corrin, L., Lockyer, L., Dawson, S., Williams, D., Mulder, R., Khamis, S. & Copeland, S. (2014). Completing the loop: Returning learning analytics to teachers. In B. Hegarty, J. McDonald, & S. K. Loke (Eds. ), Rhetoric and Reality: Critical Perspectives on educational technology. Proceedings ascilite 2014 Dunedin. (pp. 436-440). Wijewickrema, S., Ioannou, I., Zhou, Y., Piromchai, P., Bailey, J., Kennedy, G., & O’Leary, S.(2014). A virtual reality temporal bone surgery simulator with automate real-time feedback for effective learning of surgical technique. In Proceedings Medicine Meets Virtual Reality. University of California. California, USA. Zhou, Y., Ioannou, I., Wijewickrema, S., Bailey, J., O’Leary, S., & Kennedy, G. (August, 2014). Transfer learning of a temporal bone performance model via anatomical feature registration. In Proceedings of the 22nd International Conference on pattern Recognition Stockholm, Sweden. (pp 1916-1921). Corrin, L., Kennedy, G. & Mulder, R. (2013). Enhancing learning analytics by understanding the needs of teachers. In H. Carter, M. Gosper and J. Hedberg (Eds. ), Electric Dreams. Proceedings ascilite 2013 Sydney. (pp.201-205). Bower, M., Kenney, J., Dalgarno, B., Lee, M.J.W. & Kennedy, G.E. (2013). Blended synchronous learning: Patterns and principles for simultaneously engaging co-located and distributed learners. In H. Carter, M. Gosper and J. Hedberg (Eds. ), Electric Dreams. Proceedings ascilite 2013 Sydney. (pp.92-102). Wijewickrema, S., Ioannou, I. & Kennedy, G. (2013). Adaptation of Marching Cubes for the Simulation of Material Removal from Segmented Volume Data. In Proceedings of the 26th IEE International Symposium on Computer-Based Medical Systems (CBMS 2013). University of Porto, Portugal. Zhou, Y., Bailey, J., Ioannou, I., Wijewickrema, S., O'Leary, S. & Kennedy, G. (2013). Pattern Based Real Time Feedback for a Temporal Bone Simulator. Proceedings of the 19th ACM Symposium on Virtual Reality Software and Technology (VRST) (pp. 7-16). Singapore. Zhou, Y., Bailey, J., Ioannou, I., Wijewickrema, S., Kennedy, G. & O'Leary, S. (2013). Constructive Real Time Feedback for a Temporal Bone Simulator. In Proceedings of the 16th International Conference on Medical Image Computing and Computer Assisted Intervention (MICCAI). (pp. 315-322). Nagoya, Japan. Pearce, J. M., Chang, S., Alzougool, B., Kennedy, G., Ainley, M., & Rodrigues, S. (2011). Search or Explore: Do you know what you're looking for? Proceedings from 2011 Australasian Computer Human Interaction Conference, OzCHI 2011, Canberra. Kennedy, G., Jones, D., Chambers, D. & Peacock, J. (2011). Understanding the reasons academics use – and don't use – endorsed and unendorsed learning technologies. In, Changing Demands, Changing Directions, Proceedings of ascilite 2011. Hobart, Australia. Bower, M., Kennedy, G. Dalgarno, B. &. Lee, M. (2011). Uniting on-campus and distributed learners through media-rich synchronous tools: A national project. In, Changing Demands, Changing Directions, Proceedings of ascilite 2011. Hobart, Australia. Cheng, A., Kennedy, G. & Kazmierczak, E. (2010). Using students' visual representations as a window to designing learning tools. In C.H. Steel, M.J. Keppell, P. Gerbic & S. Housego (Eds. ), Curriculum, technology & transformation for an unknown future. Proceedings ascilite Sydney 2010 (pp.174-178). Goodwin, K., Kennedy, G., & Vetere, F. (2010). Getting together out-of-class: Using technologies for informal interaction and learning. In C.H. Steel, M.J. Keppell, P. Gerbic & S. Housego (Eds. ), Curriculum, technology & transformation for an unknown future. Proceedings ascilite Sydney 2010 (pp.387-392). Phillips, R. A., McNaught, C., & Kennedy, G. (2010). Towards a generalised conceptual framework for learning: the Learning Environment, Learning Processes and Learning Outcomes (LEPO) framework. Proceedings of World Conference on Educational Multimedia, Hypermedia and Telecommunications 2010 (pp. 2495-2504). Chesapeake, VA: Association for the Advancement of Computing in Education. Dalgarno, B., Kennedy, G. & Bennett, S. (2009). Using brain imaging to explore interactivity and cognition in multimedia learning environments. In OZCHI 2009: Proceedings of the Annual Conference of the Australian Computer-Human Interaction Special Interest Group of the Human Factors and Ergonomics Society of Australia (pp. 405-408). Melbourne, Australia. Kennedy, G.E. (2016, December). Messiah or Myth: The core values of technology in university education and learning. Keynote presentation at the Faculty of Science Interaction and Influence Forum. Charles Sturt University. Wagga Wagga, Australia. Kennedy, G.E. (2016, November). How can we “See Learning”? Getting the most from Learning Analytics. Keynote Presentation at the Assocaition of Pacific Rim Universities. Singapore. Kennedy, G.E. (2016, September). Fundamental Tensions in Supporting “Future Ready”. Keynote presentation at PebbleBash 2016. Wolverhampton, UK. Kennedy, G.E. (2016, July). Whole-of-University Change: A Digital Learning Strategy. Invited presentation at The Future of Digital Learning in Higher Education. Monash University. Melbourne, Australia. Kennedy, G.E. (2016, July). Messiah or Myth: The core values of technology in university education and learning. Keynote presentation at the Teaching Excellence: Learning For Life. Australian Catholic University. Sydney, Australia. Kennedy, G.E. (2016, February). High Impact Curriculum and Technology Practice: The Melbourne Digital Curriculum. Keynote presentation at the 2nd International Forum on Innovation in Higher Education. Seoul, Korea. Kennedy, G.E. (2015, October). Moving the whole curve: Strategies for effecting change in educational technology practice. Invited presentation at International Society for the Scholarship of Teaching and Learning 2015. Melbourne, Australia. Kennedy, G.E. (2015, October). Seeing Learning: Getting the most from Learning Analytics. Keynote presentation at Festival of Better Learning and Teaching 2015. St Catherine’s School. Melbourne, Australia. Kennedy, G.E. (2015, September). Messiah or Myth: The core values of technology in university education and learning. Keynote presentation at NET 2015. Cambridge University. Cambridge, United Kingdom. Kennedy, G. (2015, August). Leading and managing institutional change: Thought leadership by another name? Invited presentation to the ACODE Learning Technologies Leaderhip Institute. Mooloolaba, Australia. Kennedy, G. (2015, July). How can we ‘See Learning’? : Getting the most from Learning Analytics. Keynote presentation to “Learning Analytics for Student Success”. Wiley/Jacaranda. Sydney, Brisbane, Melbourne, Australia. Kennedy, G. (2015, March). Data Driven Pedagogy: Stories of Using an Analytical Approach to Course Improvements. Invited presentation at Coursera Partners Conference 2015. University of California. California, USA. Kennedy, G.E. (2014, December) The untapped value of learning analytics. Invited presentation at ADC forum: Frontiers in Education Opportunities Beyond Disruption. Melbourne. Kennedy, G.E. (2014, December). Making university spaces places for learning. Keynote presentation at Teaching Matters 2014. University of Tasmania. Launceston, Australia. Kennedy, G.E. (2014, November). Personal Analytics: Getting off the deficit path. Keynote presentation Australian Learning Analytics Summer Institute 2014. University of Technology, Sydney. Sydney, Australia. Kennedy, G.E. (2014, September). On Facebook no one can hear you fail: Maintaining teaching and learning interactions online. Keynote presentation at CASS Teaching and Learning Day 2014, Australian National University. Canberra, Australia. Kennedy, G.E. (2014, July). Data mining interactions in a 3D immersive environment for real-time feedback during simulated surgery. Invited presentation at the Human Performance Wing, Wright-Patterson Airforce Base, Dayton, USA. Kennedy, G.E. (2014, June). Learning Analytics: Pathways and patterns for personalization. Keynote presentation at Australian Council of Deans of Science, Teaching & Learning Conference. Melbourne, Australia. Kennedy, G.E. (2014, June). Learning analytics and sensemaking. Invited presentation at Learning and teaching for our Time: Higher Education in the digital era. OLT Conference 2014. Sydney, Australia. Kennedy, G.E. (2014, June). To MOOC, or not to MOOC. Invited panel member at EduTech Higher Education Leaders. Brisbane, Australia. Kennedy, G.E. (2014, June). Improving the student experience and leading Australian Universities into the future. Invited panel member at EduTech Higher Education Leaders. Brisbane, Australia. Kennedy, G.E. (2014, May). Learning Analytics. Invited panel member at Open Universities Australia's 2014 Education Frontiers Summit. Melbourne Australia. Kennedy, G.E. (2014, February). MOOCs — magnificent, monsters or malediction? Invited panel member at Higher Education Conference 2014. Universities Australia. Canberra, Australia. Kennedy, G.E. (2013, December). The Dream of Educational Technology Interaction. Keynote presentation at Australasian Society for Computers in Learning in Tertiary Education 2013 (ascilite). Sydney, Australia. Kennedy, G.E. (2013, December). Sensemaking. Invited workshop presentation at Australian Learning Analytics Summer Institute. Sydney, Australia. Kennedy, G.E. (2013, November). From virtual surgery to the virtual classroom: The hidden promise of learning analytics. Invited presentation at U21 Educational Innovation Conference. Dublin, Ireland. Kennedy, G.E. (2013, October). eLearning and the quality of the student experience. Invited presentation at the Joint TEQSA-OLT Forum on eLearning. Melbourne, Australia. Kennedy, G.E. (2013, September). MOOCs: What we know, what we don't know and what they are not. Invited presentation at Learning and Teaching Expo (RMIT). Melbourne, Australia. Kennedy, G.E. (2013, September). Enhancing Education by Big Data and Learning Analytics. Invited presentation at Education Technology 2013. Singapore. Kennedy, G.E. (2013, May). Online Education and MOOCs. Invited presentation to the Universities Australia and University Chancellors Council Annual Joint Meeting. Hobart, Australia. Kennedy, G.E. (2013, March). Implications of a Changing Landscape. Panel member on CISCO Live Conference. Melbourne, Australia. Kennedy, G.E. (2013, February). Success in a digital economy: how does higher education get there? Invited presentation and panel discussion on Universities Australia Higher Education Conference. Canberra, Australia. Kennedy, G.E. (2013, February). When 'us' and 'them' become one: Reflecting on disruptions in learning space-time. Keynote presentation at Open and Distance Learning Association of Australia (ODLAA). Sydney, Australia. Kennedy, G.E. (2012, December). Negotiating a Disruption of Learning Time and Space. Keynote presentation at 5th Annual Curriculum, Teaching & Learning Colloquium: Learning to Connect, Connecting to Learn. La Trobe University, Australia. Kennedy, G.E. (2012, October). But I thought the Internet would provide the interaction. Invited presentation at the Royal Children's Hospital Campus Research and Education Week Program. Melbourne, Australia. Kennedy, G.E. (2012, September). "We're Moving with the Times"… Unpacking university responses to students' use of new technologies. Invited presentation at 14th Annual State Conference of ISANA Sanity Branch. Adelaide, Australia. Kennedy, G.E. (2012, August). Big M Little L: Making Sense of Mobile Learning. Invited presentation at the Inaugural Mobile Learning Conference. Melbourne, Australia. Kennedy, G.E. (2012, July). The challenges of using social media with diverse digital learners. Invited presentation at the Annual Conference of Genetics Society of Australia. Melbourne, Australia. Kennedy, G.E. (2012, March). Meeting students' expectations. Smart technology use in Higher Education. Invited presentation at Technology in Tertiary Education Congress. Sydney, Australia. Kennedy, G.E. (2012, April). Do the digital natives exist? And are they good digital learners?. Invited Public Lecture at the Catholic University of Chile. Santiago, Chile. Kennedy, G.E. (2011, December). We're moving with the times: Unpacking university responses to students' use of new technologies. Keynote presentation at ISANA International Education Association Annual Conference. Hobart, Australia. Kennedy, G.E. (2010, December). Difficulties sharing: Designing for collaboration in online environments. Keynote presentation at the 5th International LAMS & Learning Design Conference. Sydney, Australia. Kennedy, G.E. (2010, November). Satificing searching of the digital natives: A recipe for disaster or the road to success? Keynote presentation to CAVAL reference interest group. Melbourne, Australia. Kennedy, G.E. (2010, October). Satificing Searching and Expediency-based Practice: Medical students' information seeking under the microscope. Invited presentation at FaST Science Educators' Symposium. Queensland University of Technology. Kennedy, G.E. (2010, September). Mobility + Ubiquity = Accessibility & Serendipity (& Informal Learning? Perhaps!). Invited presentation at the Blackboard Research Roundtable. Cairns, Australia. Kennedy, G.E. (2010, September). How students perceive, source and use web-based information and social media. Invited presentation at the Informa National Learning and Teaching Forum. Melbourne, Australia. Kennedy, G.E. (2009, November). "Yeah I know that ..." Challenges guiding 'Digital Natives' in the use of scholarly information. Keynote presentation at the International Business Librarians Association Conference. Melbourne, Australia. Kennedy, G.E. (2009, June). The Seduction of the New: Balancing Web 2 Cool with Coal Face realities. Keynote presentation at The Fourth International Blended Learning Conference "Engaging Students in the Curriculum". University of Hertfordshire, United Kingdom. Kennedy, G.E. (2009, May). Digital experiences and preferences: Seeking meaningful differences between students and staff. Invited Presentation at OU conference: The Net Generation: A critical and international perspective. Open University, United Kingdom.